The old fashioned Aussie breakfast: Fried eggs, sausages, buttery mushrooms, white buttered toast and a hearty side of baked beans. Cafe breakfasts have certainly changed with paleo-friendly, gluten-free, sugar free, organic agave and quinoa everything on menus in virtually every cafe. 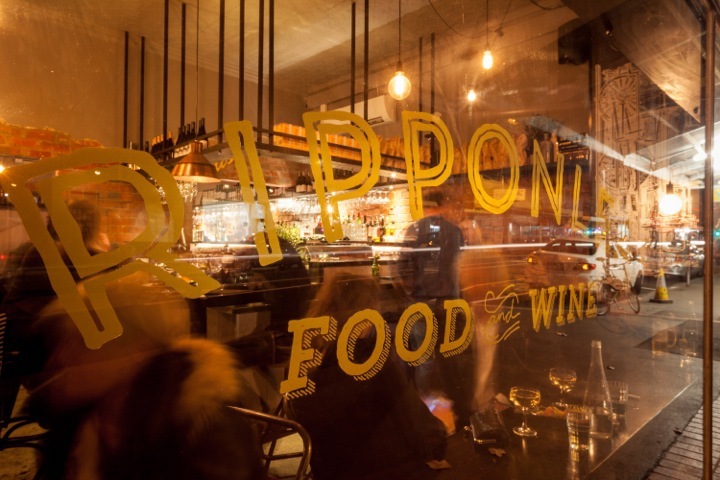 Ripponlea Food and Wine offers up some amazing fare without the guilt. Ripponlea Food and Wine, located just a stone's throw from Ripponlea train station means it's easy to get to on a Sunday morning when you're moving a little slower. Their newly launched menu serves up some tasty options that make it ok to feel like you're cheating a little. We tried corn fritters that were cooked with the consistency of a light fluffy pancake over the pan fried/oilier ones you might expect. No big dollops of heavy sour cream, but some beautifully fresh salted ricotta sprinkled on top and fresh tomato salsa that leaves you full without feeling like you need a nap. 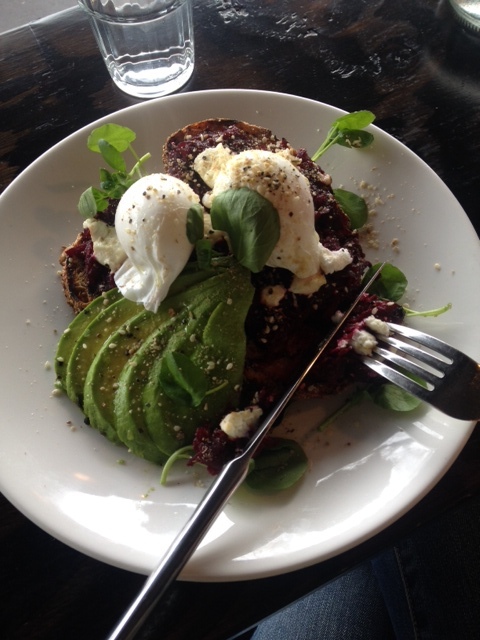 New to the menu at Ripponlea Food and Wine, poached eggs, beetroot relish, fresh avo and a lot of yum. 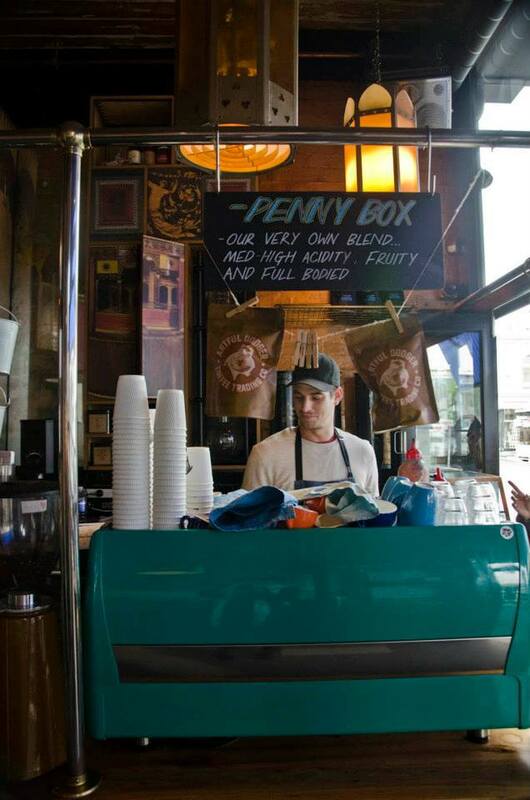 Likewise, Brick Lane, is just a tiny hop from the Prahran train station and has mastered the art of cleverly disguising a menu that's tasty enough to appease the most traditional of breakfast connoisseurs and caters to the specialty diet conscious diners too. The acai bowl at Brick Lane is a popular choice for good reason. We tried a blended acai with fresh berries and granola that's become a bit of a signature dish. The breakfast tapas style dining is a concept that works well when dining in a group of indecisive diners. Their red velvet almond pancakes are a creative take on a healthier version of traditional morning pancakes. Almond meal with a hint of beetroot juice to give it the right colour and cinnamon poached pears and vanilla cream to make all the more delish. An unusual twist on breakfast, (gluten-free) Red Velvet almond meal pancakes with cinnamon poached pear. Prahran's Babble, tends to be a bit of a hotspot in the Greville St area even when it's not the weekend, and for great reason. The breaky portions are seriously substantial, there's a cosy fireplace indoors and the coffee is fabulous. Babble cafe is always buzzing with activity and tasty food options. Even during the week you're sure to spot many a work meeting going on inside. The menu here is certain to offer something for absolutely everyone from the strictest specialty dieter to the devout bacon and egg loving hearty breakfast ambassadors. With plenty of indoor and outdoor seating, it's a popular place for the locals and travellers alike to have a seat, enjoy a bite and watch the world stroll by. One thing is for sure, you won't leave hungry. A sibling cafe to Brick Lane, School of 7 Bells is cosy and quaint and located at the top of the hill exiting Windsor station. Here you'll find a refreshed menu offering some of the more traditional breakfast offerings with some clever culinary twists such as a similar acai blend from its sister cafe at Brick Lane. Located at the Windsor end of Chapel St, School of 7 Bells. For those who simply can't pass up a meaty breakfast, Zimari's Greek-inspired breakfast offers a large variety of everything from breakfast burgers to breaky wraps and a huge selection of omelettes. Their 3 egg omelettes offer everything from the 'Meatballs Fritata' with chicken, beef and lamb meatballs and mozzarella to the 'Athletic' made of egg whites, chicken fillet, mushrooms and spinach. Man sized appetites will certainly be sated here. Satisfy both your sweet and savoury cravings at Zimari's in Windsor. I, however, opted for the sweeter option of ricotta and honey with crush walnuts on toast with just the right amount of cinnamon dusting. I recommend arriving on the later side of breakfast to enjoy the outstanding sweets you'll find on offer for brunch.